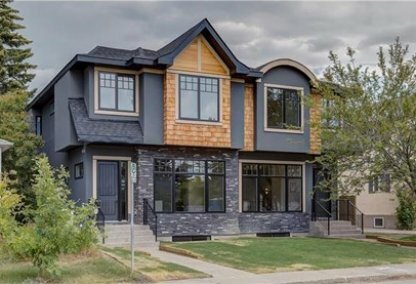 Browse today's newest Capitol Hill homes for sale in Calgary! 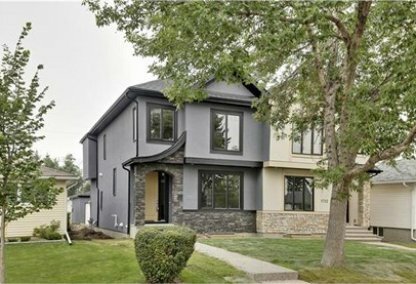 This peaceful neighborhood, nestled in City Centre Calgary, includes a variety of gorgeous homes, just minutes from downtown Calgary. Discover the hottest Capitol Hill real estate for sale now! Schedule a guided home or condo tour with your Capitol Hill Calgary real estate agents today. Capitol Hill housing market statistics: As of April 25, 2019 there are currently 56 properties for sale in Capitol Hill listed as active, with an average asking price of $660,736. The highest-priced property is $1,269,000; the lowest priced property can be purchased for $179,888. Capitol Hill neighbourhood listings have an average price of $442 per square foot, based on listings with 3.8 bedrooms, 3.3 baths, and 1,536 square feet of living space. Selling or buying a home in Capitol Hill Calgary soon? Call Justin Havre at RE/MAX First - 403.217.0003. Our community of Capitol Hill real estate agents will help you navigate the Capitol Hill housing market in Calgary. The community of Capitol Hill was established in the 1900s, with some homes dating back to 1920. There are many single-family homes, some with basement suites. The area boasts many stores and restaurants within walking distance. Capitol Hill's boundaries include Confederation Park (North), 16th Avenue/TransCanada Highway (South), 10th Street (East) and 19th Street (West). Home owners travel to downtown, only 5 km away, by both 10 and 14 Streets. Those looking for a weekend getaway travel to Banff properties by 16 Avenue. University and SAIT students are drawn to the neighbourhood because of the close proximity to the schools. Capitol Hill doesn't lack for neighbourhood amenities. Residents enjoy being close to Confederation Park where they can hike, bike, and cross-country ski. Foothills Athletic Park offers Ultimate Frisbee, tennis, baseball fields and track and field areas. The Capitol Hill Community Association is consistently working toward improving and adding to the neighbourhood. The Capitol Hill Community Hall Lounge is a meeting place for socializing, watching sports, and playing darts, shuffleboard, or crib, evenings 4-10pm Monday-Saturday. Capitol Hill is located near the Jubilee, home of the arts, and McMahon Stadium. The North Hill Shopping Centre has over 100 stores, restaurants, and businesses. The Louise Riley Library services neighbourhood homes for sale as well. K-12 students in the Capitol Hill community are well served by a number of public schools. Elementary schools include Capitol Hill (Public), Banff Trail (French), King George (French), Rosemont (Public), St. Joseph (Private), and St. Pius (French) (Private). Junior high schools within the Capitol Hill neighbourhood include Branton (French), George P. Vanier (French), Senator Patrick Burns (Public), Rosedale (Public), St. Margaret (Private), and Madeleine d'Houet (Private). Senior high schools include William Aberhart (French), Crescent Heights (Public) and St. Francis (French) (Private). Planning to buy or sell a home in Capitol Hill Calgary? Let our real estate team guide you in your search for the perfect home and professionally facilitate the sale of your existing home. As Capitol Hill neighbourhood real estate agents, we know how to navigate the Capitol Hill real estate market. Let's get your home sold quickly and at the highest price! Contact Justin Havre at RE/MAX First - 403.217.0003 to find out more about buyer or seller representation. Thinking of selling your Capitol Hill home? Check out our free property evaluation tool, where you can easily view Calgary Homes Values online in moments!